50 Success Quotes And Sayings About Life - Motivate Amaze Be GREAT: The Motivation and Inspiration for Self-Improvement you need! We have collected the best 50 Success Quotes around, these quotes will motivate you to achieve your dreams and goals, make good use of them. Our list is full of words of wisdom and famous sayings by successful people that have achieve greatness in their lives, and give you great advises to succeed. 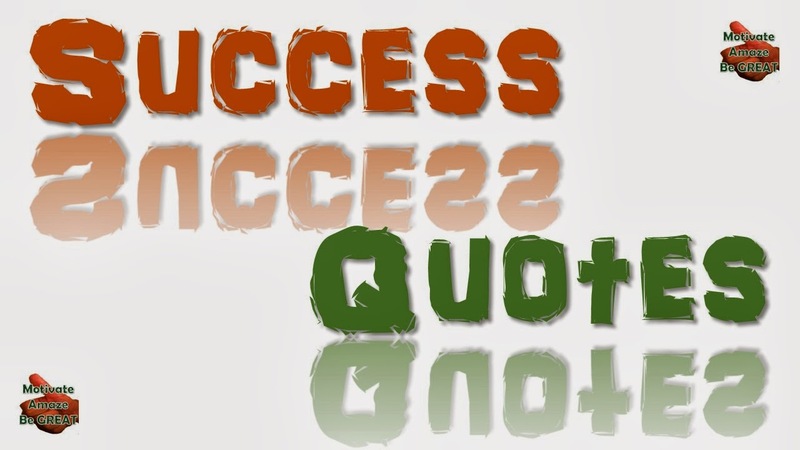 Inspire yourself to reach success by reading these great quotes daily, enjoy! 10. "The ultimate measure of a man is not where he stands in moments of comfort and convenience, but where he stands at times of challenge and controversy." – Martin Luther King Jr.
We hope you've enjoyed this success quotes and sayings and now you're motivated to keep pursuing success. Share this great quotes with your friends and family using the sharing buttons below or on the side.